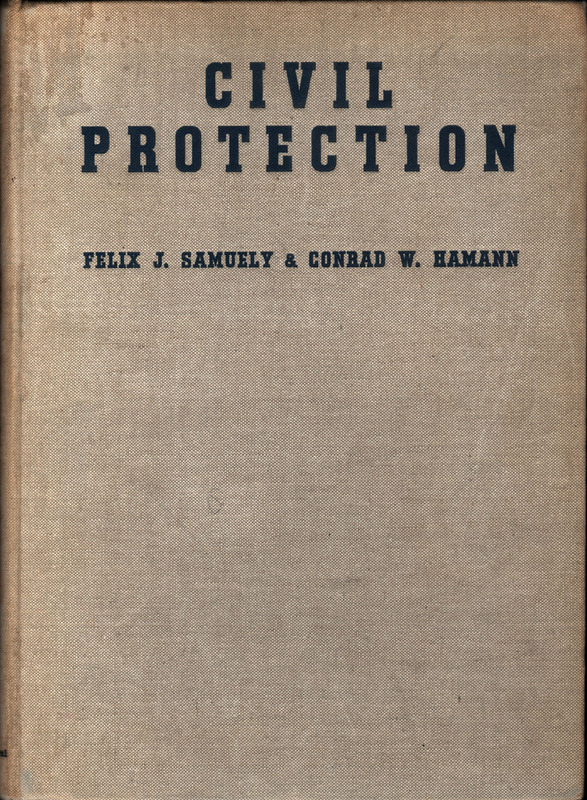 Civil Protection; the Application of the Civil Defence Act and Other Government Requirements for Air Raid Shelters, Etc. Folio. 165 pp plus 32 pp advertising section; full of diagrams & tables; fold-out map; index. Publisher's cream cloth with dark blue stamped lettering on cover & spine. Good only - binding tender, covers soiled; former owner name on front free endpaper; occasional pencil underlining.